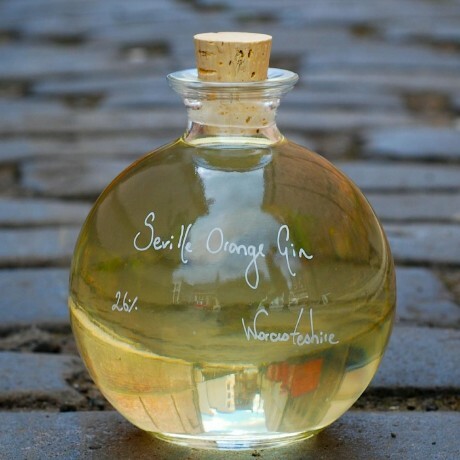 A beautiful circular bottle filled with Seville Orange Gin. You can have the bottle personalised with a handwritten message by using the option available - makes a wonderful gift! A magnificent and sophisticated drink, with an orange aroma followed by a distinct yet subtle citrus sharpness, mixed in with sweet juniper overtones. This artisan gin has been created by The Hingston's from their Worcestershire Farm.